As students, we're always looking to travel on the cheap. However, just because our funds are low, that doesn't mean we can't stay in nice places. Around the world, in some of the most popular places to travel, like the weirdest and quirkiest hostels for you to book your stay when you go exploring. Located in Cappadocia, Turkey, the guest rooms at Yasin's place are found in an authentic cave house. The caves were originally carved from rocks and fairy chimneys. The aim of these caves is to give it's guest a taste of life as a cave dweller. Guests have the option to stay in the kitchen, the winery or even the pigeon coop. Located in Switzerland, this hostel is underground in a former atomic bomb shelter. If you're looking for somewhere completely dislocated from human interaction, this hostel offers cut off from society. It's isolated but cheap and in one of the most beautiful cities in the world, Verbier. This massive treehouse located between Granada and San Juan del Suer, has a wide range of housing available. If you're looking to stay on your own or bunk with a friend, this treehouse caters for all needs. From private furnished treehouses to shared dorms, you can plan your sleeping arrangements in style. If you're travelling on the cheap, there are sheltered hammocks available to rent for under a fiver. With the treehouse being famously known for its full moon parties, a place that offers such tranquillity while also being able to throw a party, it's hard to resist a place like this. More scary than quirky, this accommodation can be found in Gloucestershire, UK. What was once a Norman castle and then a hunting lodge, it's no surprise that there are ghostly tales surrounding this hostel. 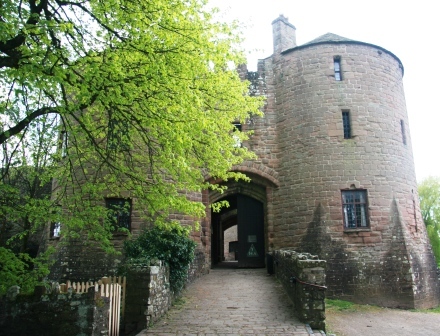 Apart from the possibility of no nights sleep due to how scared you might be, this castle is located on one of the most beautiful regions of the English countryside. The Overstay has been described as Bangkok's number one ''chill out'' spot. It is the perfect place to lay your head to sleep at night for any of you art lovers. What was once an old haunted house has now been transformed into a creative space and guest house. 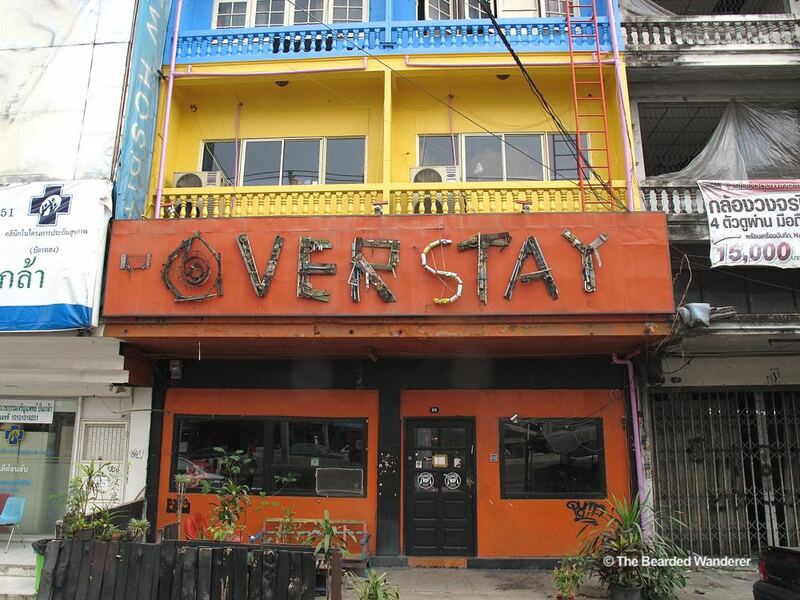 A bar, graffiti art, a cinema and an open rooftop equipped with hammocks, make up a few of The Overstay's unique facilities. If you're a fan of tight spaces and aircrafts, then Jumbo Stay is perfect for your travels. The luxury suite is in Stockholm, Sweden and will give you a view of the airport with a bed morphed into the cockpit of a real jumbo jet. This hostel promises no annoying passengers to distract your star gazing from your bedside window. This is located just outside of Sydney's Central Station. Guests have the choice of sleeping inside one of these converted railway carriages that are on the former Platform Zero or inside of the historic 1904 building. If ever you wanted to sleep in a courthouse, Clink78 is the courthouse where The Clash stood trial in 1978. Although the building has been restored, there are still two original courtrooms and seven prison cells. Along with its Victorian architecture, this hostel can accommodate up to 500 guests. This hostel is quite literally a house floating on the river Danube but still only a twenty minute walk from the buys centre of Belgrade. Surrounding your accommodation is other floating facilities such as cafes and restaurants that will fit all your food needs during your stay. Located in Slovenia, this hostel was voted the hippest hostel by The Lonely Planet. What used to be a military prison is now transformed as creative haven with features such as an art gallery, poetry readings and concerts taking place. The hostel is a five minute walk from public transport services which will drop you straight into the town.